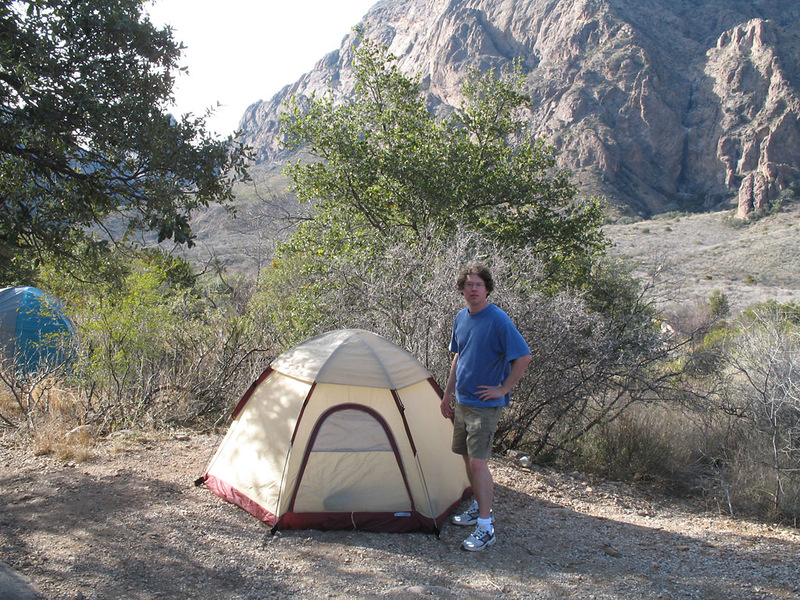 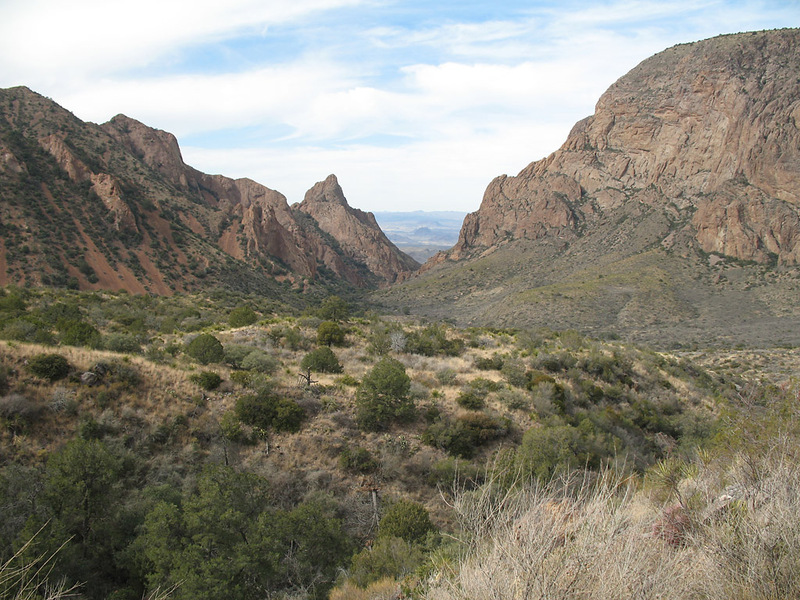 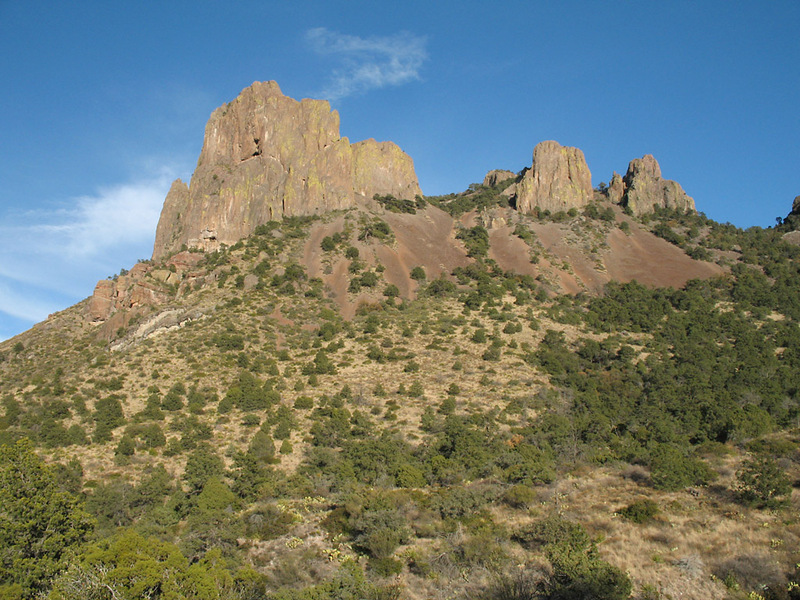 View of the campground at Chisos Basin. 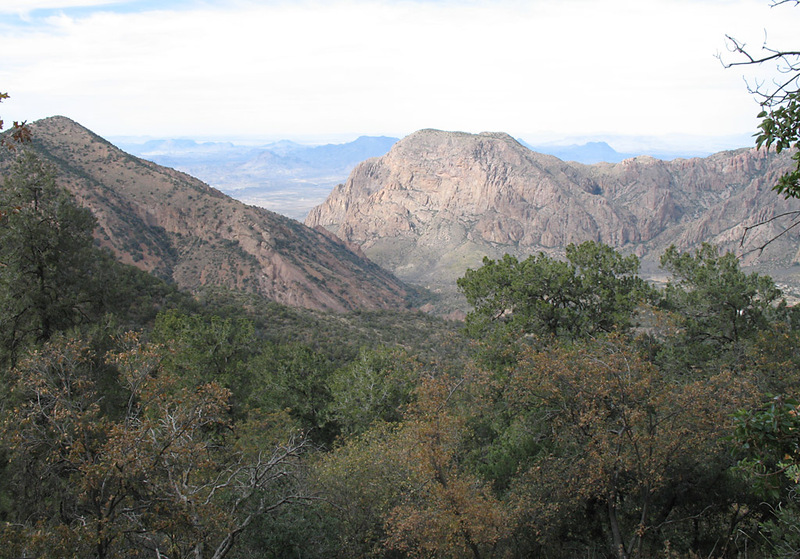 The campground is at the lower center of the photo and can be seen better in the high resolution image (click image above). 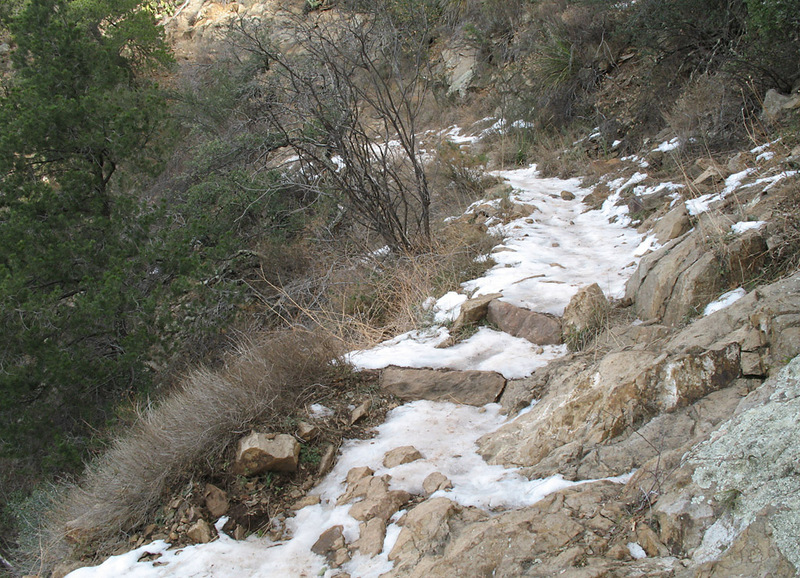 Icy conditions on the trail. 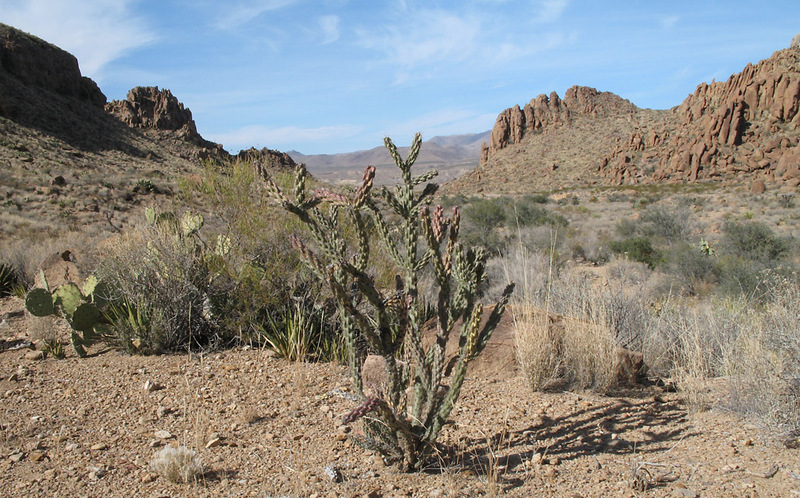 There had been snow a month earlier. 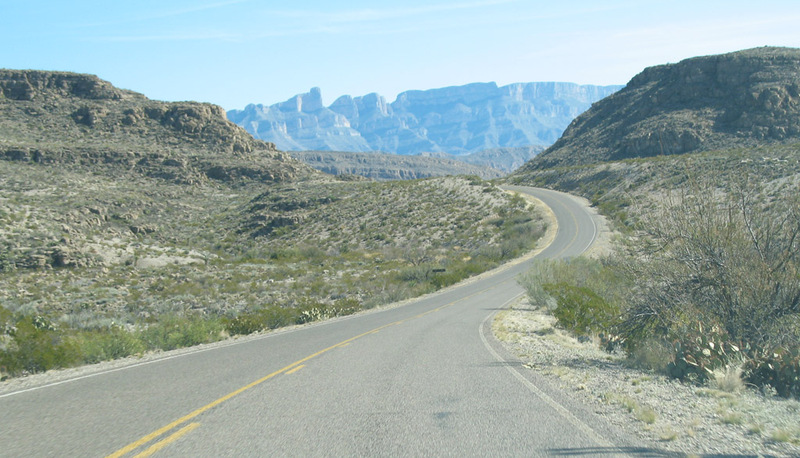 On the road approaching Santa Elena Canyon (visible as a cut in the bluff). 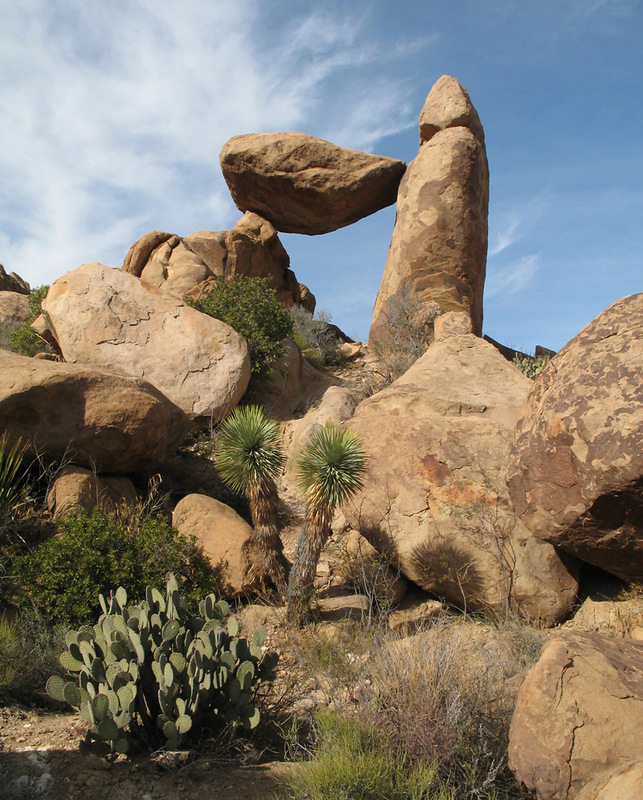 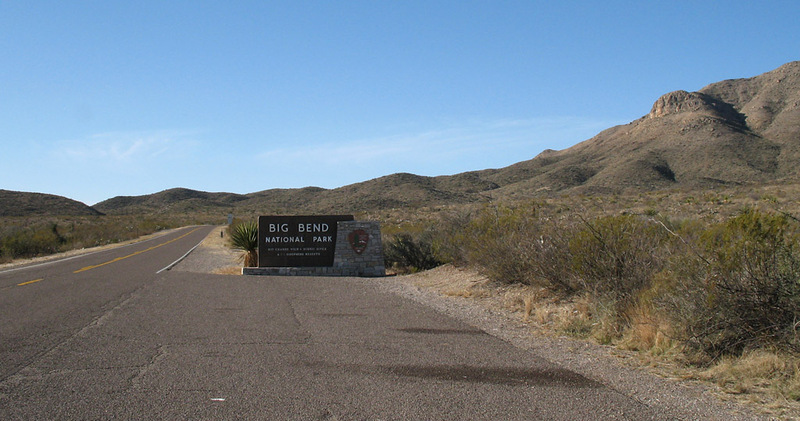 This is in the southwest corner of the park. 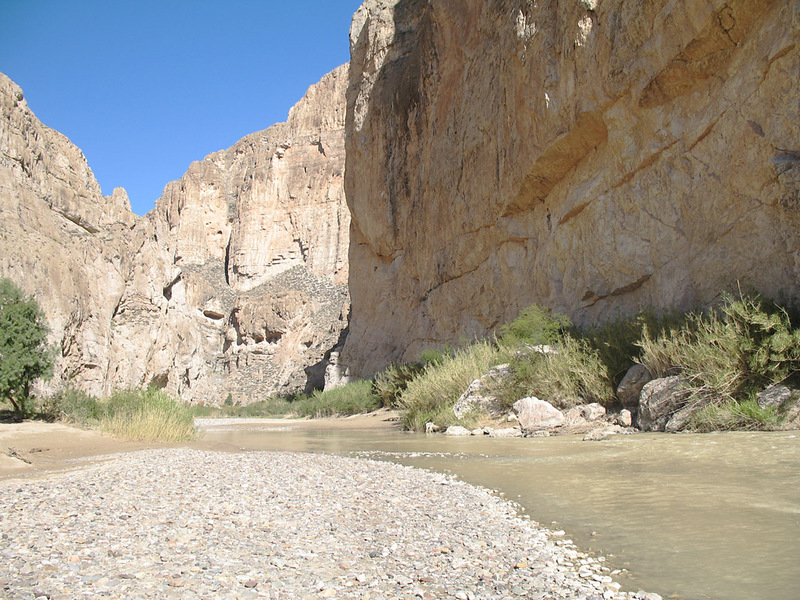 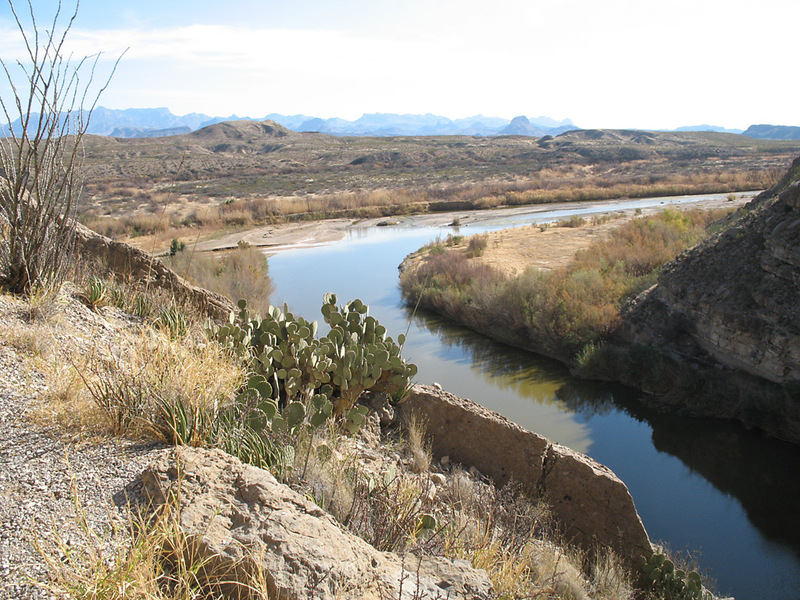 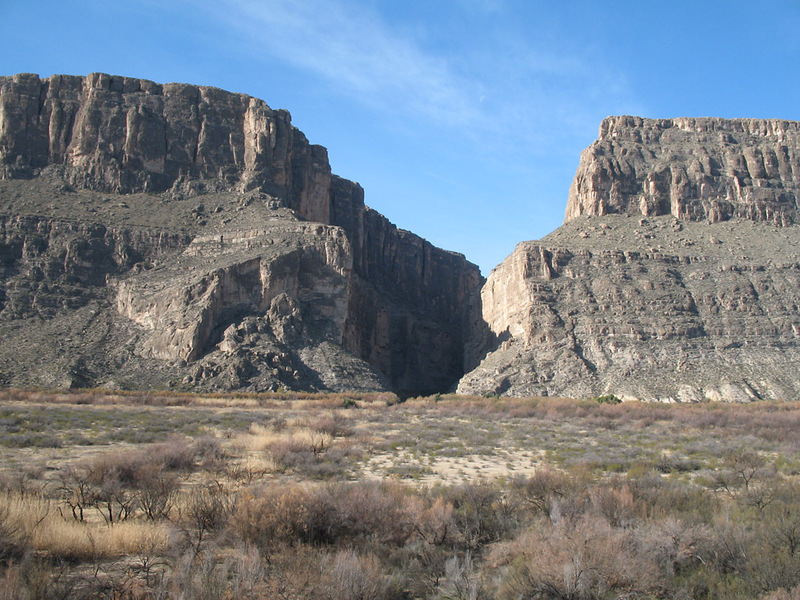 A wide view of Santa Elena Canyon as it cuts the bluff. 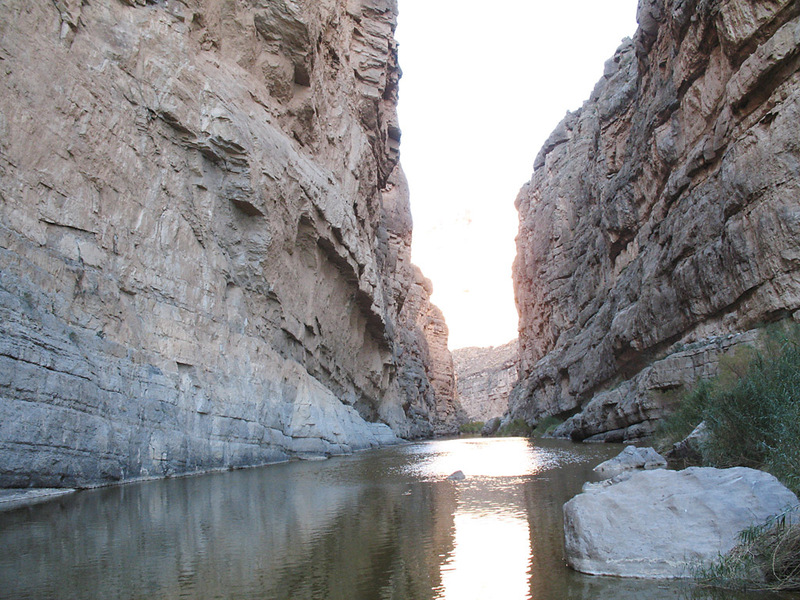 Closer view of Santa Elena canyon. 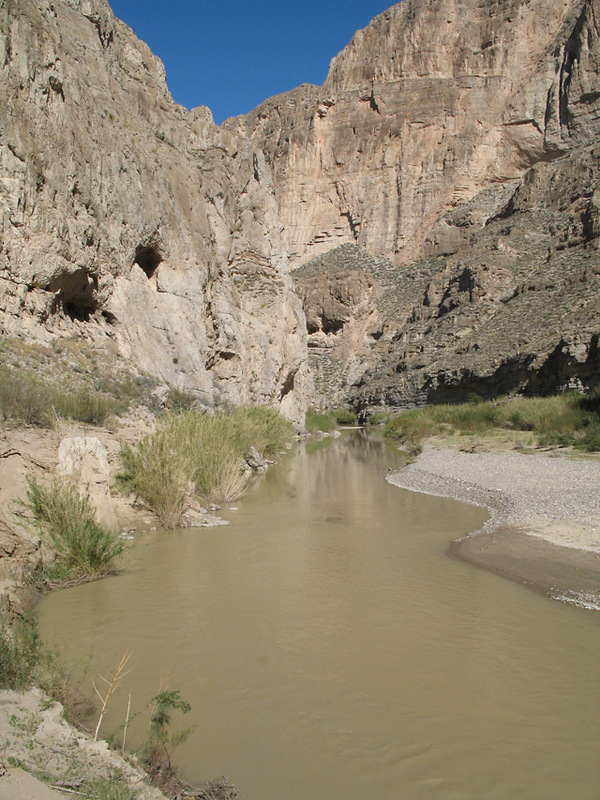 The Rio Grande exiting Santa Elena canyon. 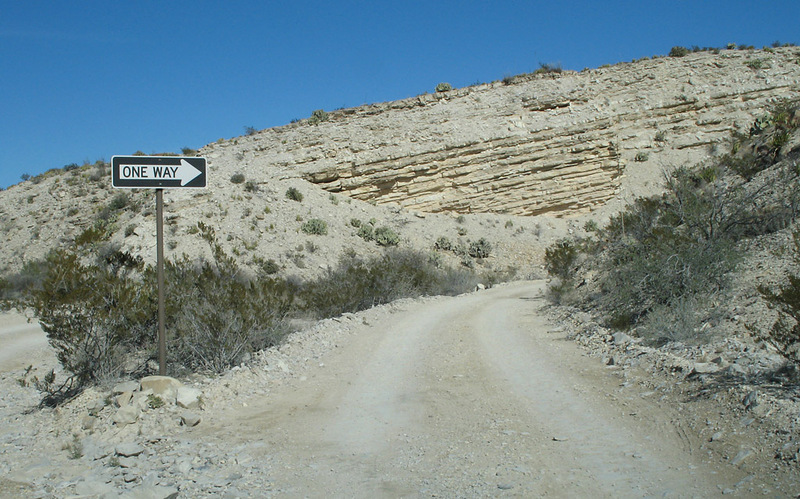 This is the end of the trail inside the canyon. 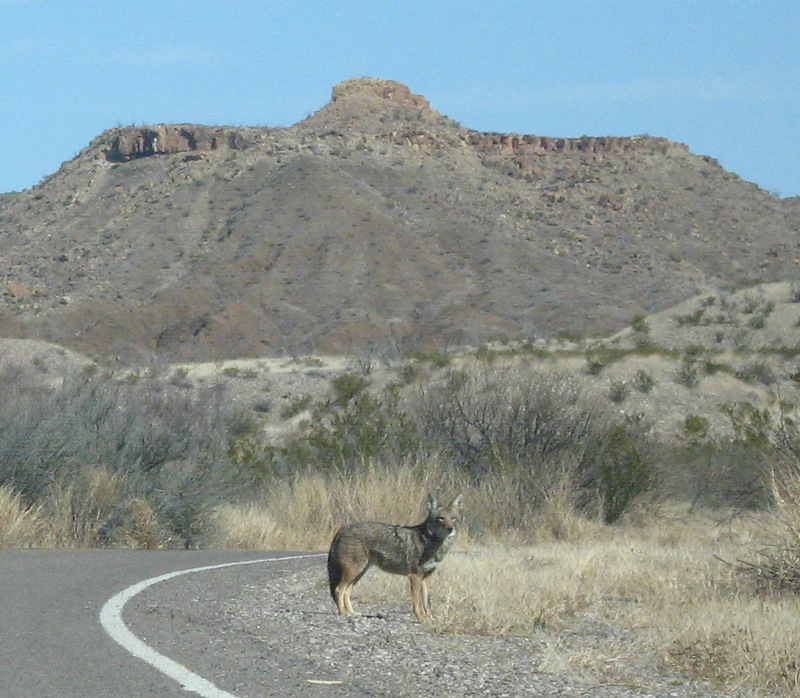 A coyote on the road near Santa Elena Canyon. 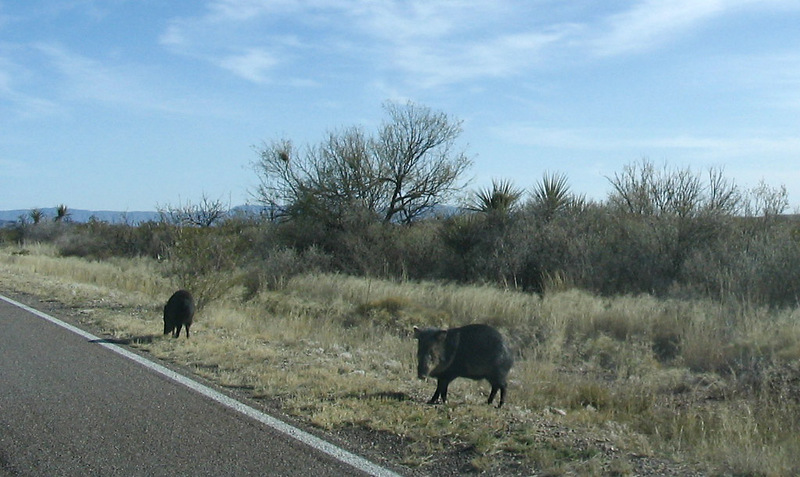 I also spotted two packs of wild boar/javelina inside the park. 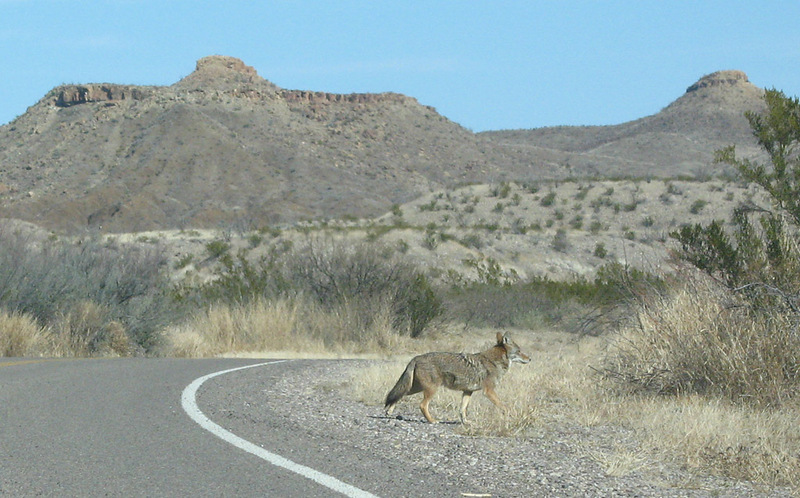 Here two are strolling along the highway. 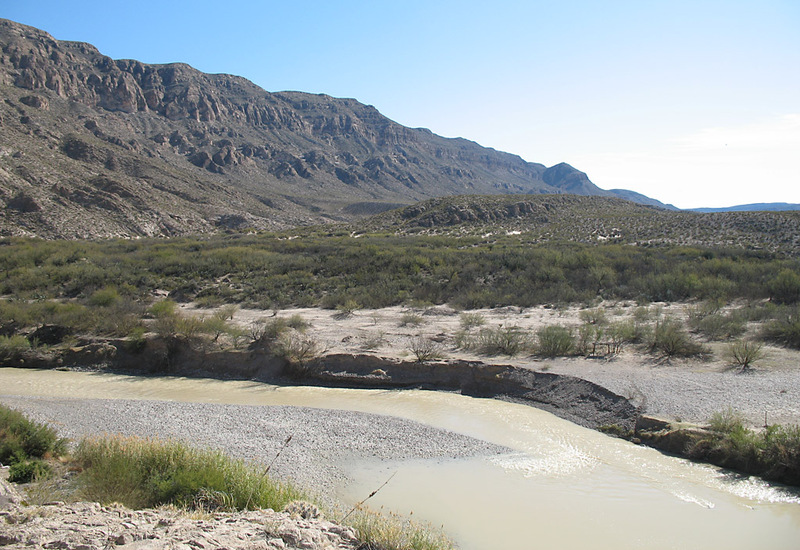 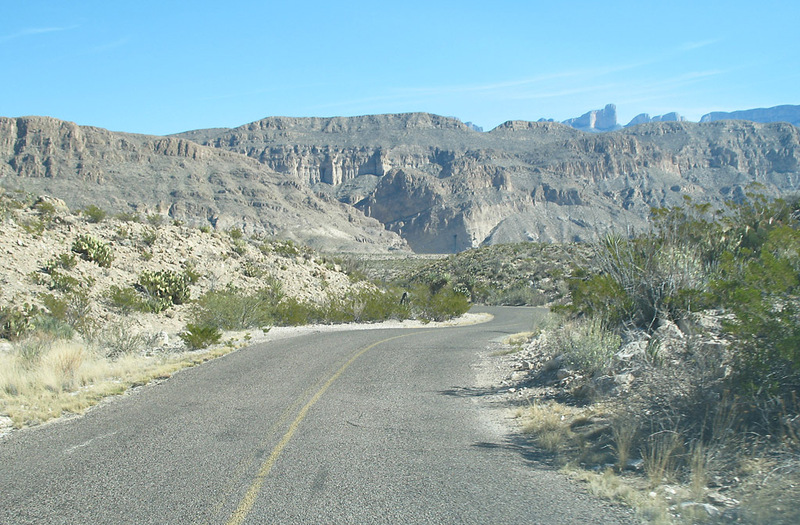 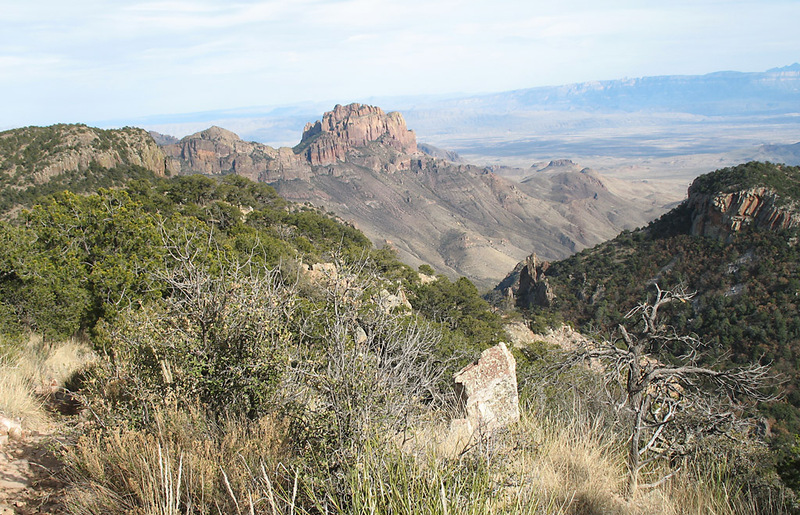 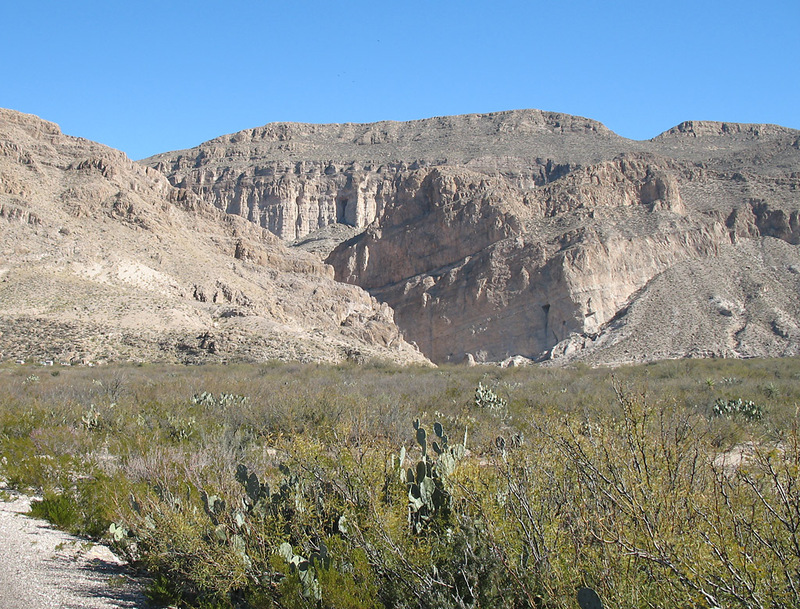 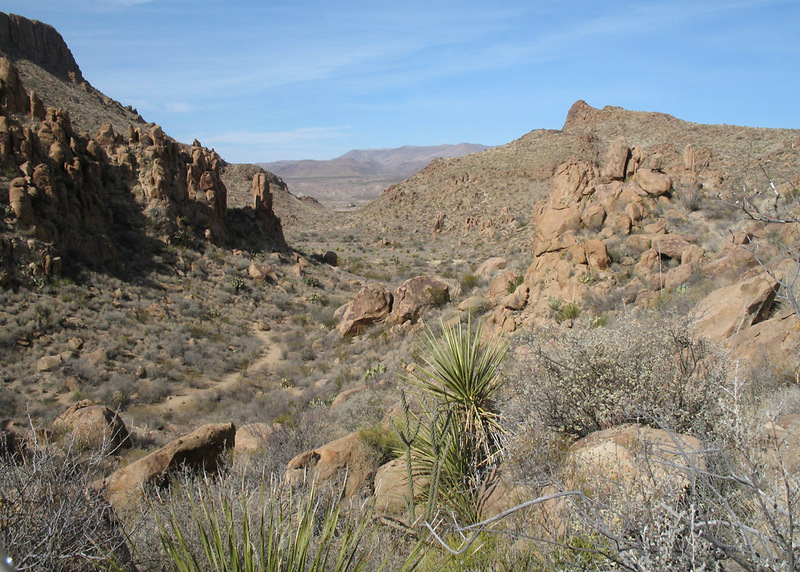 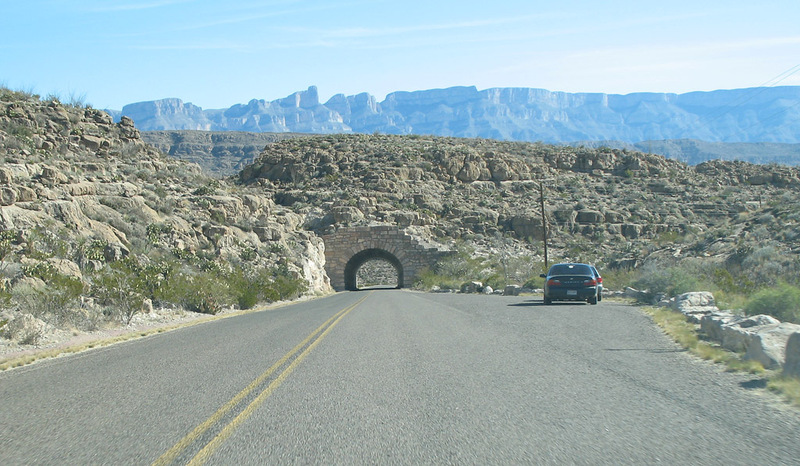 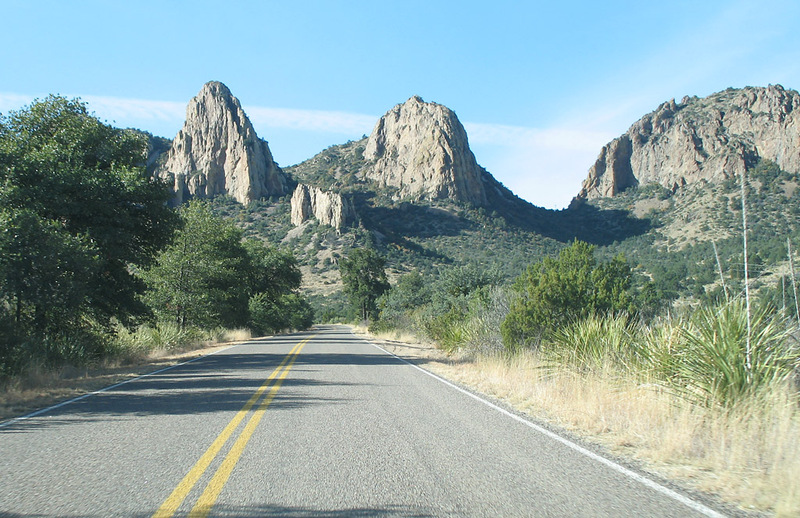 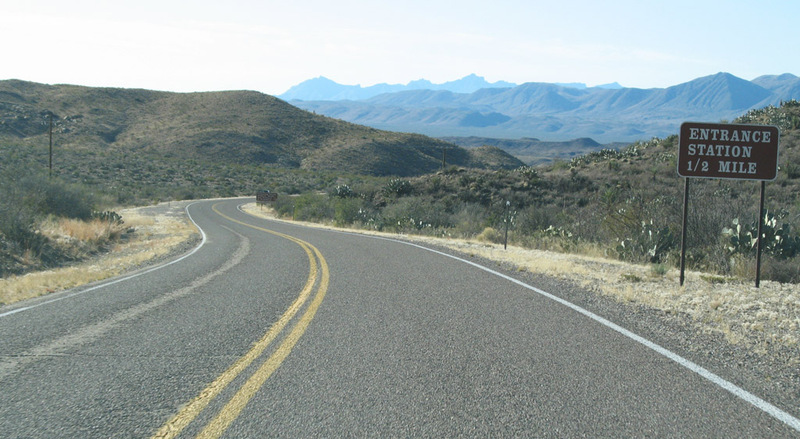 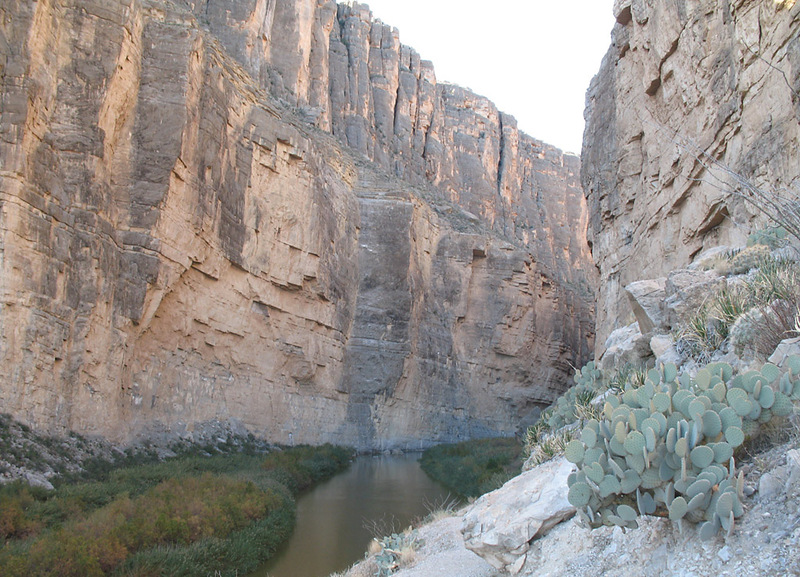 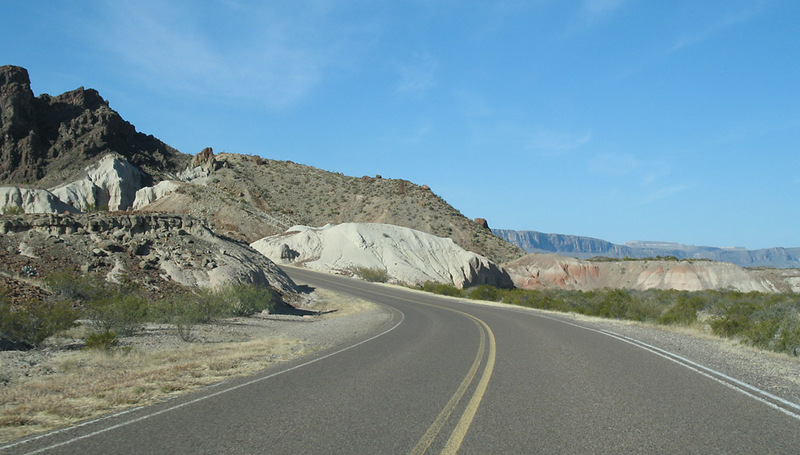 This is Ross Maxwell scenic drive, which connects the main road in the north of the park to Santa Elena Canyon. 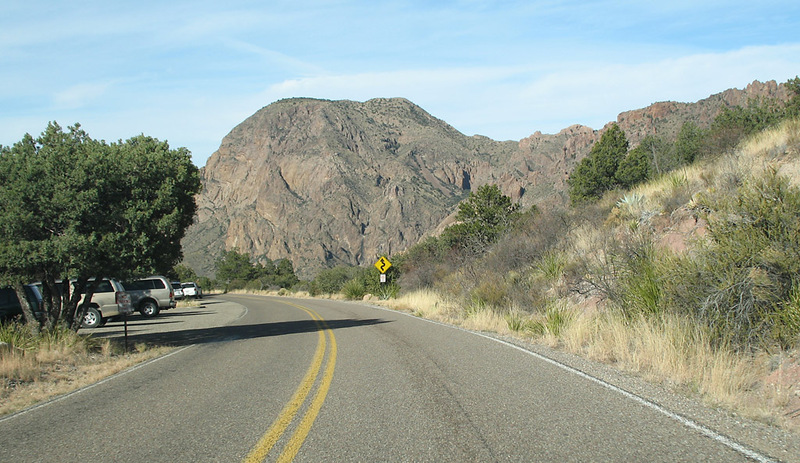 Ross Maxwell drive at Burro Mesa Pouroff turnout. 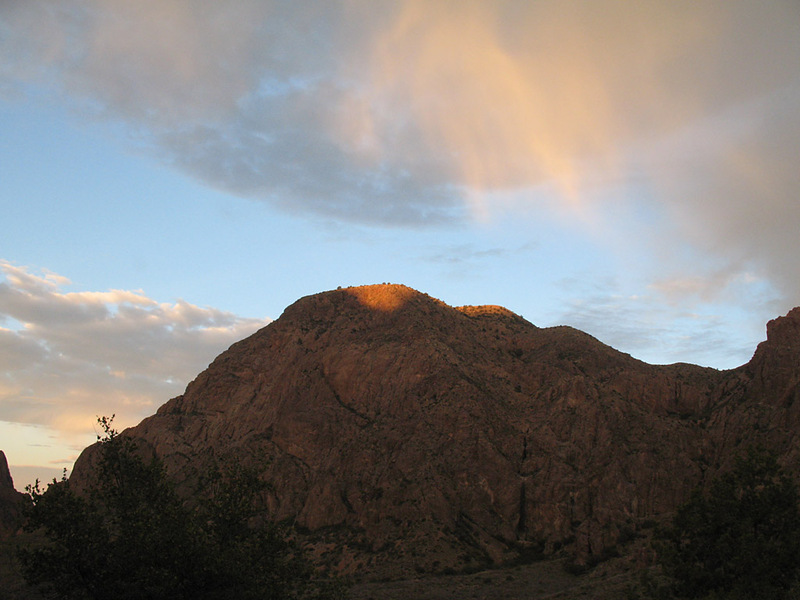 The Pouroff is a waterfall that forms in rare instances of heavy rain runoff. 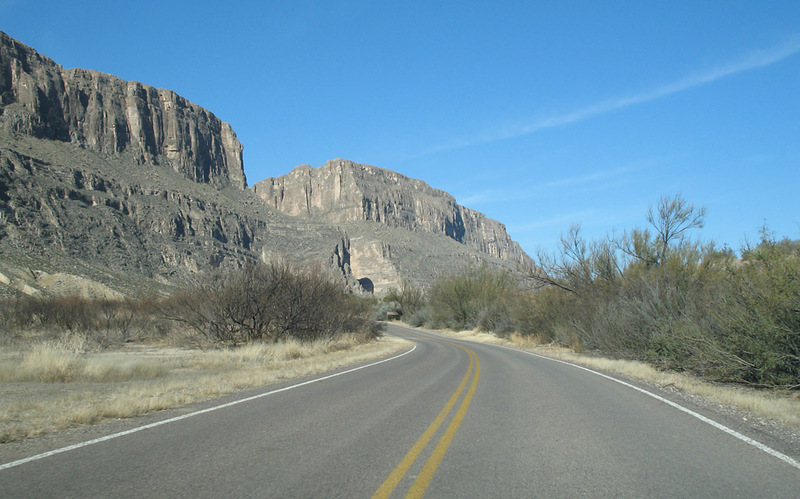 Ross Maxell drive. 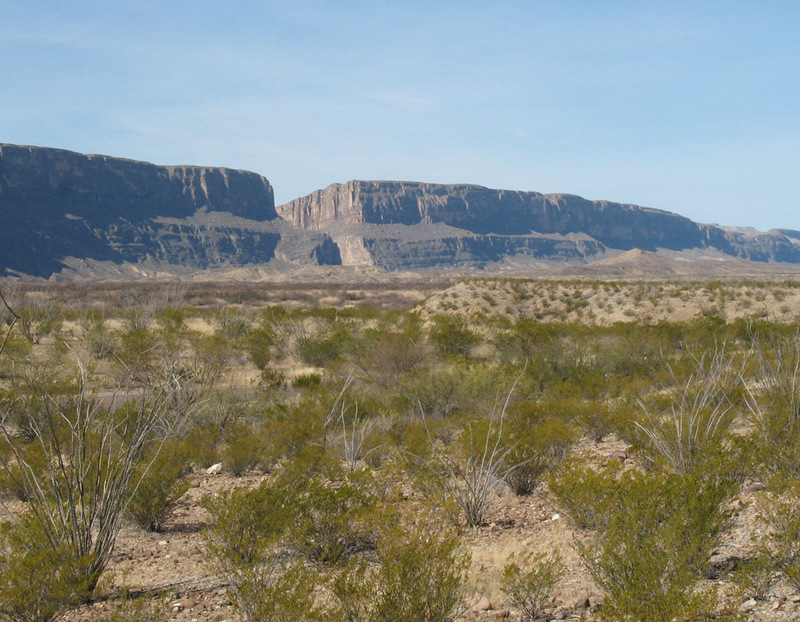 The bluff in the background is along the river. 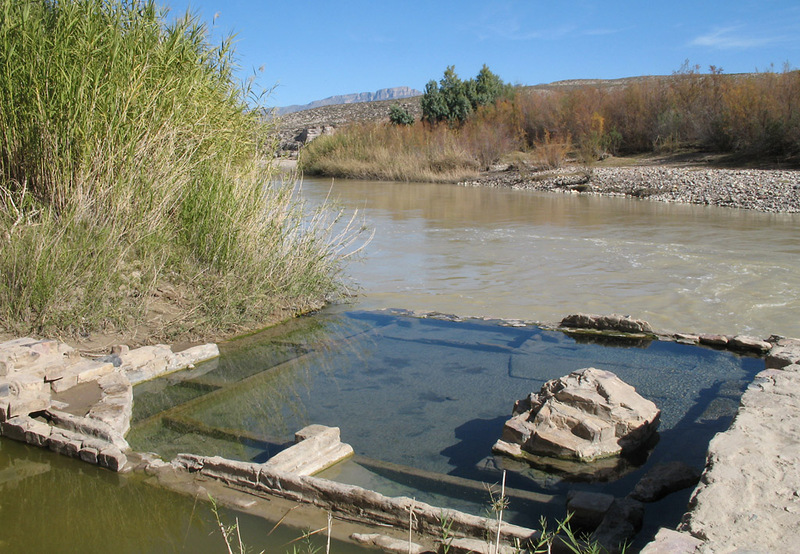 Hot Springs is an interesting site. 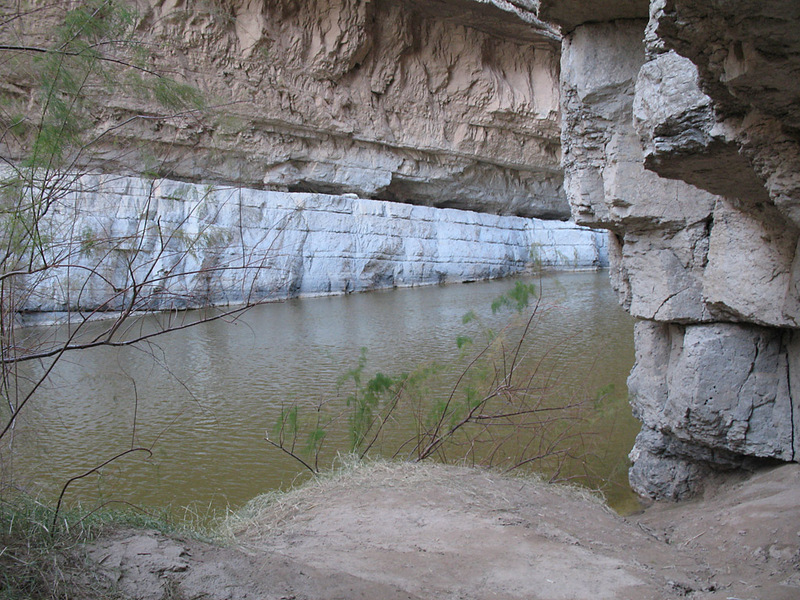 The spring is just inside the river. 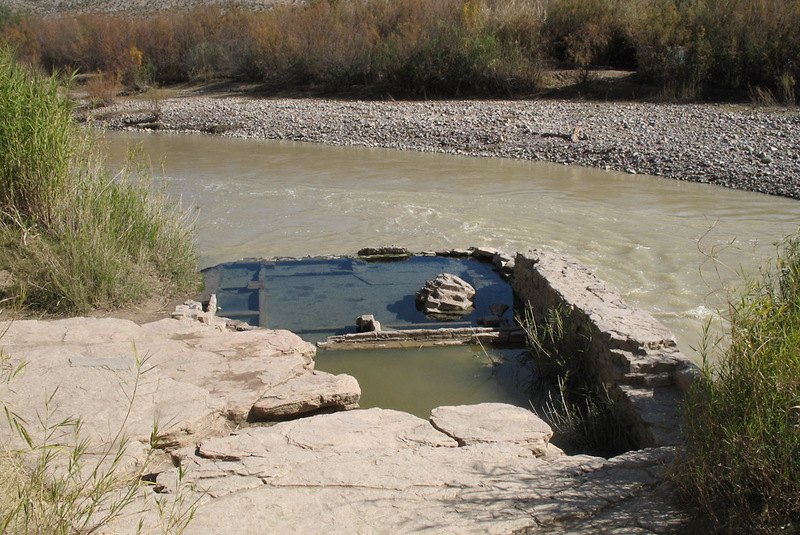 A containment structure was built to capture the upwelling water, and the structure juts into the muddy water of the Rio Grande. 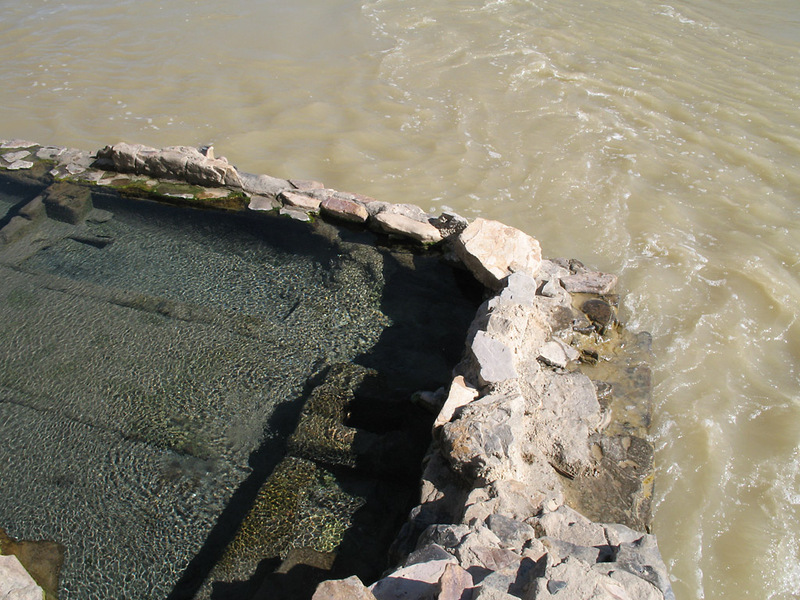 This closeup view shows the river water rushing past the containment structure, and the turbulence in the water from the rising spring water is visible. 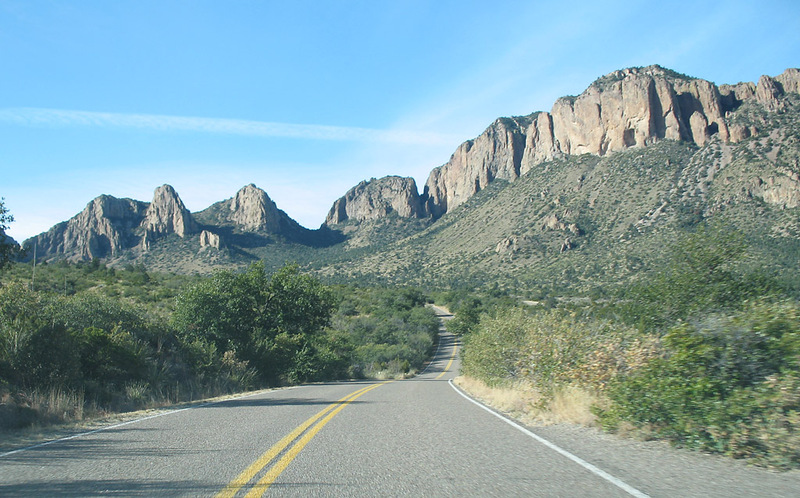 Heading back to Chisos Basin on the road from Rio Grande Village.